© Juhani Kyyro, 2015. All Rights Reserved. Description: Western Reef Heron appears in two morphs: blue/grey and white. Juveniles that are born from mixed parents may have both grey and white feathers until they moult into adult plumage at which time they become fully white. 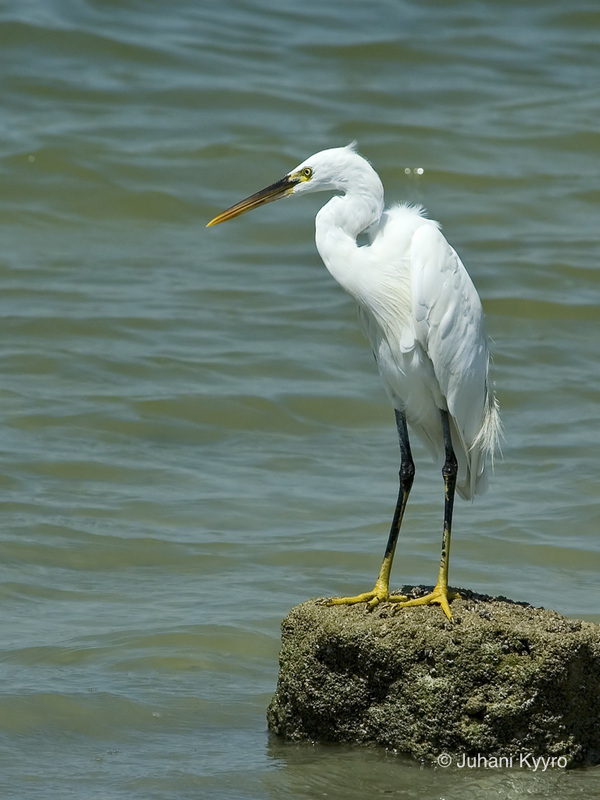 The Western Reef Heron has distinctive yellow eyes and feet with dark legs.